Update: I served these, along with “regular” matzoh balls to everyone at the seder and all the guests thought these were great and I didn’t have to make two kinds anymore. I’m not sure you can exactly call these matzoh balls since they are sort of free form dumplings…but the flavor and texture is exactly what an ideal matzoh ball should be. and I decided to try to make nockerle (heavy Hungarian dumplings that my mother would make with chicken paprikash). Nockerle are simple to make, stir together flour, egg, salt, and sometimes oil. Then spoon into boiling water – and that’s it. So I did the same substituting potato flour for the all-purpose flour. 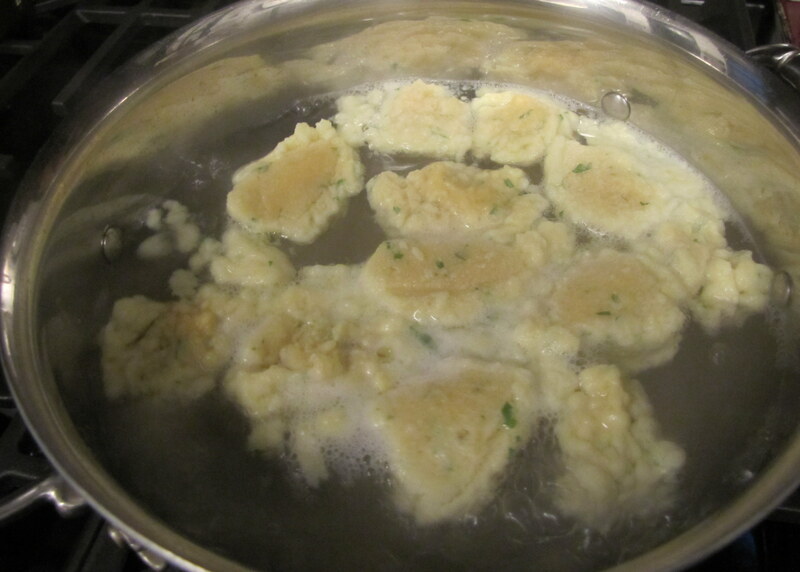 I spooned the potato mixture into the boiling water and held my breadth…they did not dissolve. This was an excellent first step. Nockerle are cooked for just a short period of time, but when I removed these dumplings from the water they were clearly still raw. I returned them to the pot; covered them and cooked them for 20 minutes. I lifted them out of the pot and took a taste…SHOCK!!! My nockerle had transformed into feather light matzoh balls (or dumplings if you take the shape into consideration)! How to make matzoh balls light or heavy seems to be some mystical combination of factors. I know every year my mother would use exactly the same recipe and some years they were heavy-as-lead (our family’s preference) and other years they wouldn’t even hold together and just dissolved when you boiled them. In the case of these matzoh balls, degree of lightness is directly related to length of cooking time. The matzoh balls have to be completely cooked through and they will be feather light (this will be a function of how large you made the matzoh balls + cooking time). 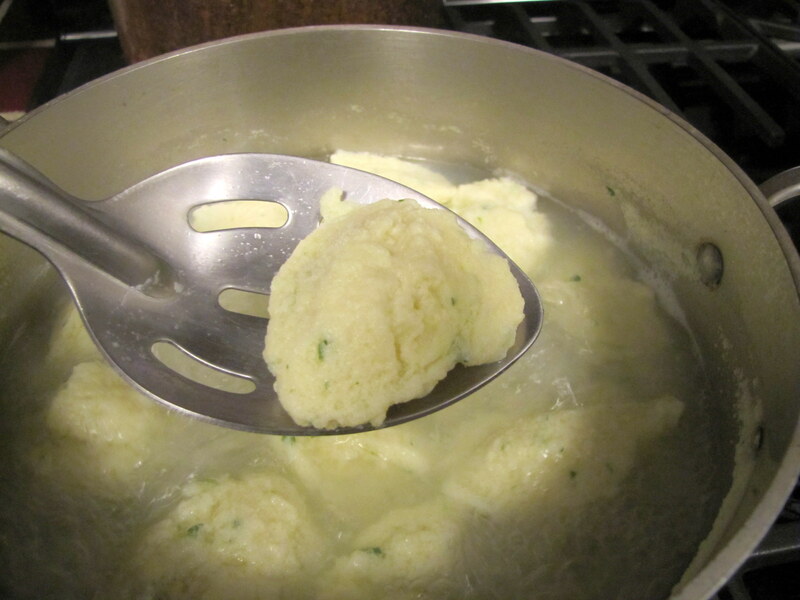 If you cut a matzoh ball in half and it is not a uniform color, they will have some degree of heaviness. 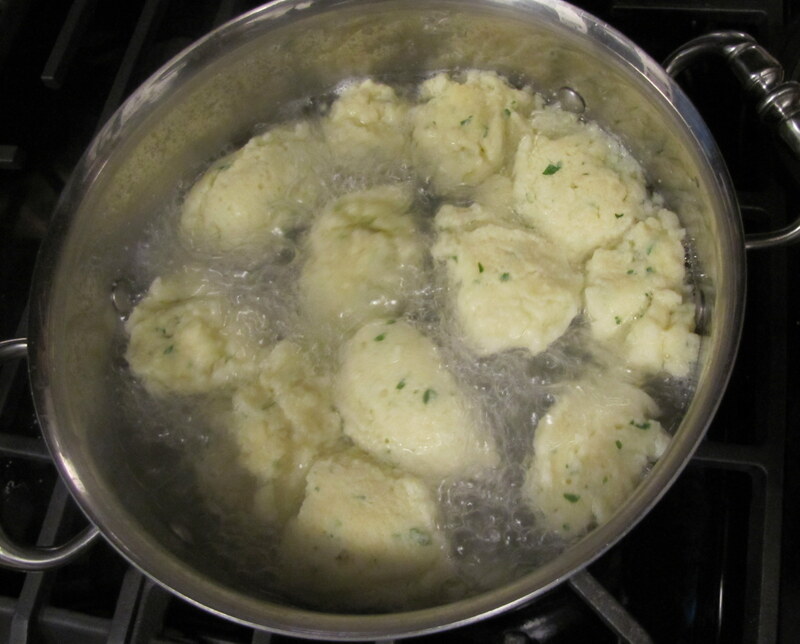 TO MAKE HEAVY-AS-LEAD MATZOH BALLS: increase the potato flour in the Light as Air recipe by 2 tablespoons. The “dough/batter” will be thick enough to roll into balls about the size of a walnut. 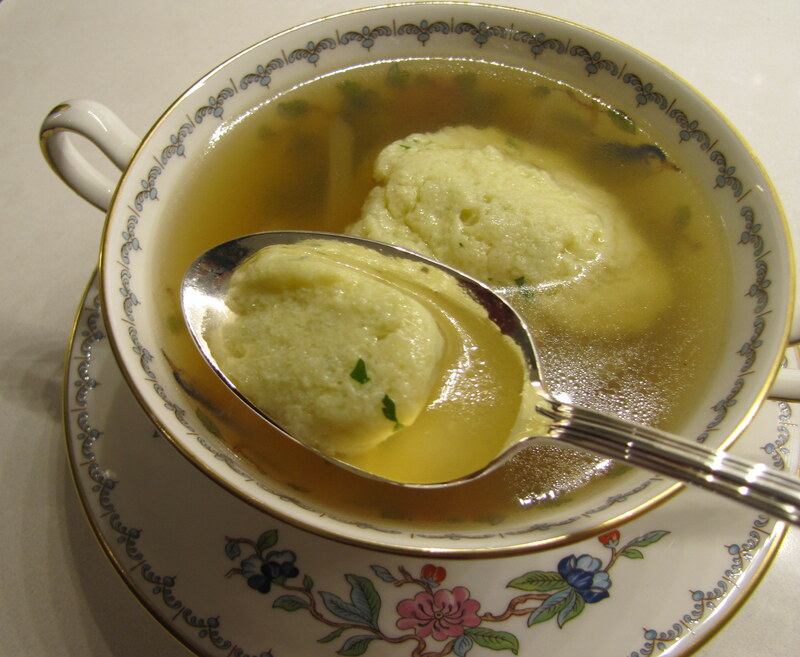 Cook, covered, in boiling water (or soup) for about 40 minutes to ensure doneness (no matter how long you cook them, they will remain darker on the inside than on the outside – a sure sign of a heavy matzoh ball). Now here’s the catch with these matzoh balls. If you follow the rules of Passover to a T these will not qualify as kosher for Passover even though all of the ingredients are kosher and none of them have any foods forbidden on Passover. Why? 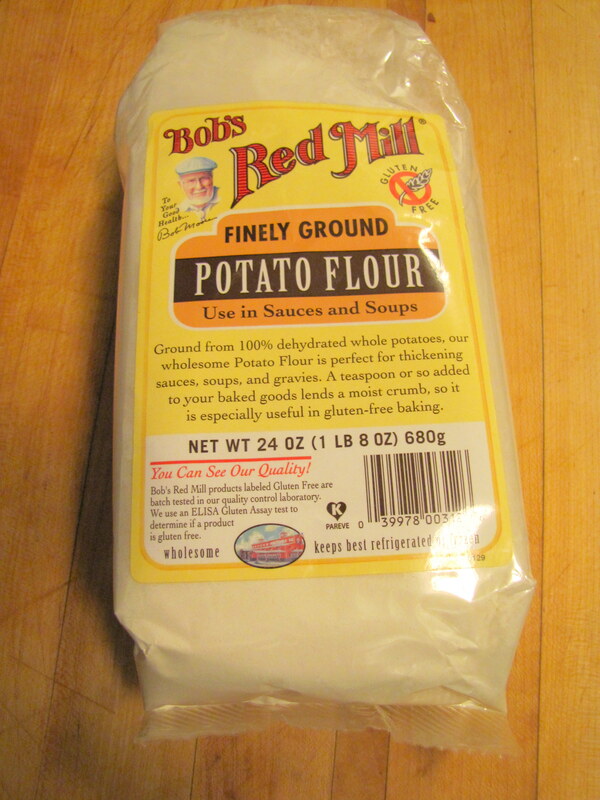 Because the potato flour is not certified Kosher for Passover (I could not find a potato flour that is kosher for Passover). If, on the other hand, you observe Passover more loosely (like me) following all the rules but not concerning yourself with certification, then these will be fine for your paleo seder – in fact they will be better than fine they will be excellent!. 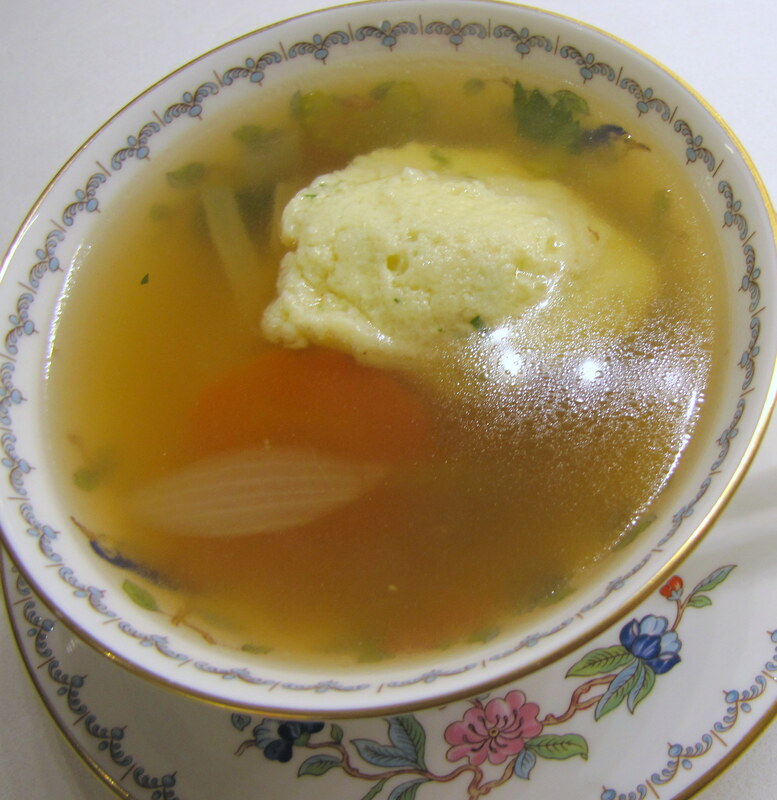 I cook my matzoh balls in salted water, many people cook them in chicken soup. Either way they are delicious. Please note that these photographs are of a half batch. 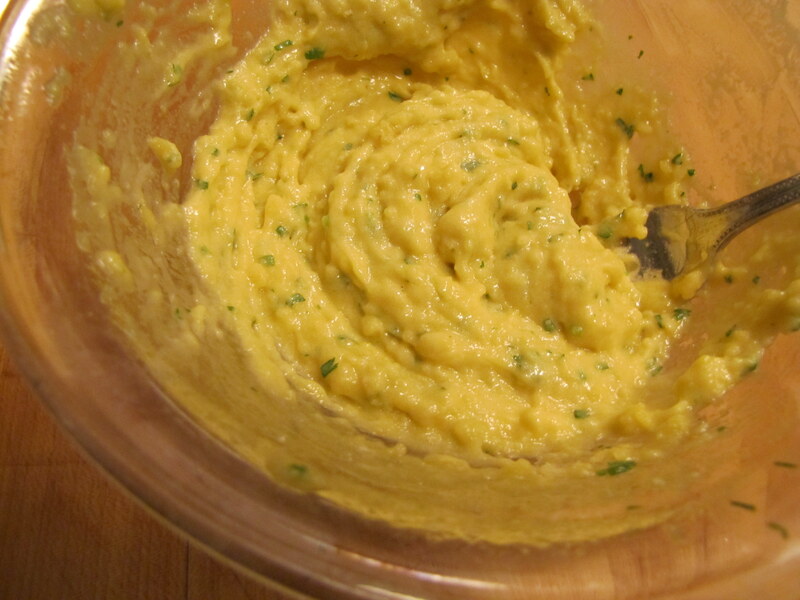 Add the potato flour, chopped parsley (if using), salt and pepper. Stir until combined. Let stand 5 minutes. Fill a 6 or 8 quart pot 2/3 full of water. Bring to a boil over high heat. 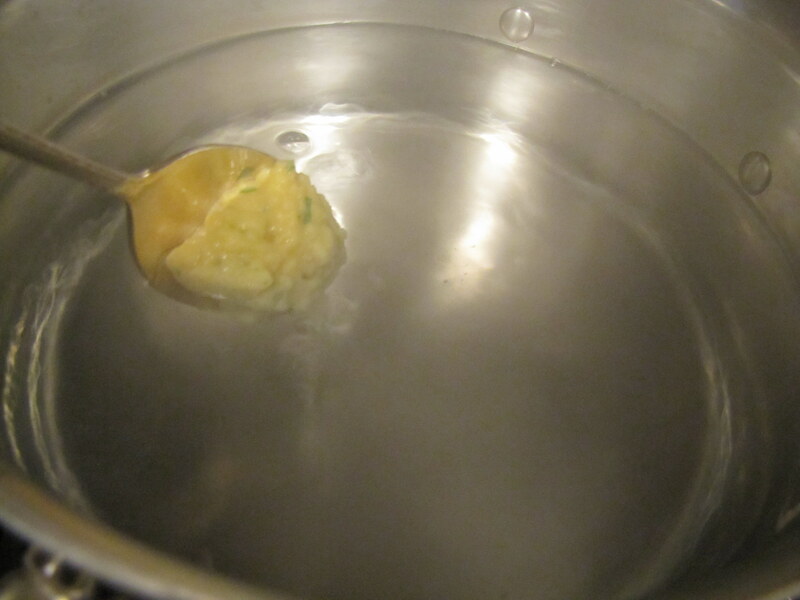 Dip a spoon into the boiling water. Scoop about 1 1/2 teaspoons of the matzoh ball mixture into the spoon; insert into the boiling water and release the mixture. The should immediately drop to the bottom, and then float. 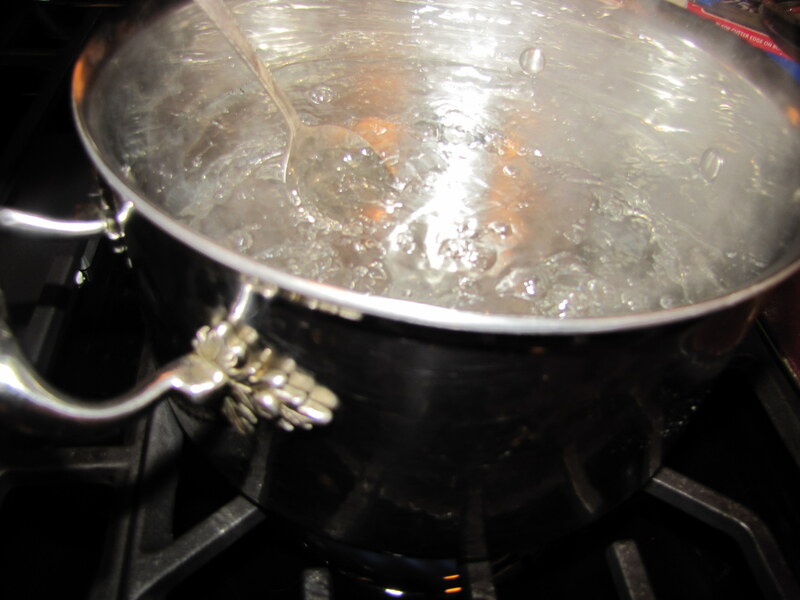 Reduce heat to medium; cover the pot. Let cook 25 minutes or until the matzoh balls are cooked through completely and are a uniform color throughout. 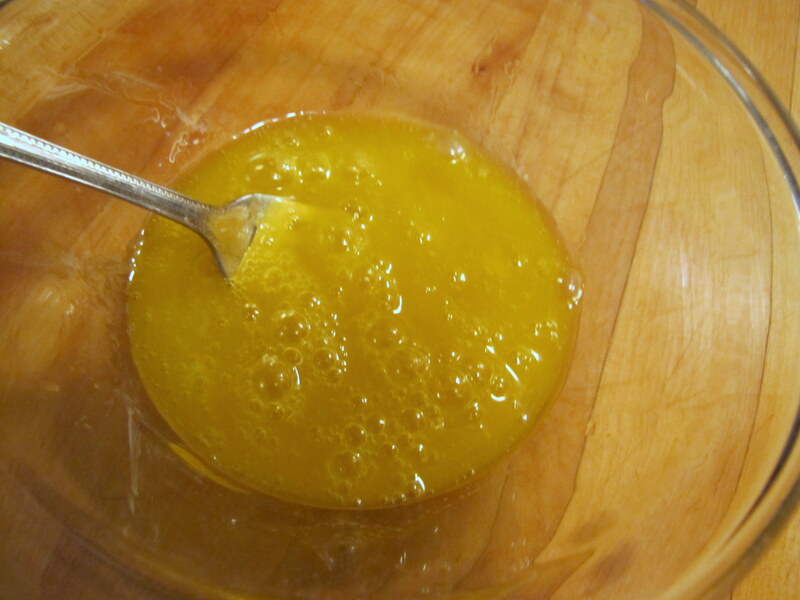 Remove from pot using a slotted spoon. my experience (once upon a time) is that the longer you leave the matzoh ball batter, the heavier the matzoh balls. Also, with regular matzoh balls, using seltzer helps keep them light. Since I have been GF, I have used a GF matzoh ball mix and they were quite good. I haven’t looked at the ingredients to see about those being paleo, but they do have a K for passover marking. thanks. good to know. Do you remember what brand mix you used? Those are beautiful! And my family would kill me if I make anything other than the heavy Hungarian matzo balls with ginger in them….maybe I’ll make some of my own on the side. My mom’s matzoh balls had ginger too!! Did your mom brown the matzoh meal in schmaltz first (just to make them less healthy! )?